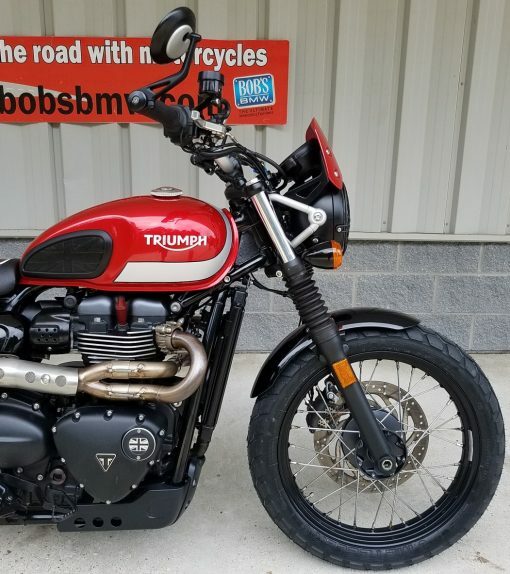 “The 2017 Triumph Scrambler is everything I want a Scrambler to be. Simply put, it’s better in every way”. That is a direct quote from the Sean MacDonald, reviewer at Cycleworld.com on January 18, 2017. 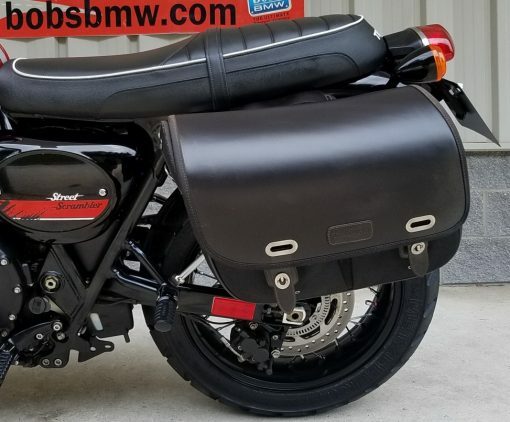 This Scrambler is up for sale with only 8,111 miles, is fully serviced, has already passed the Maryland State Inspection, and is ready for the new owner to take advantage of this beautiful fall weather that has just kicked in. October / November are some of our team’s favorite months of the year to ride — especially for enjoying the cooler temperatures and changing leaves as you twist through the Maryland hills. 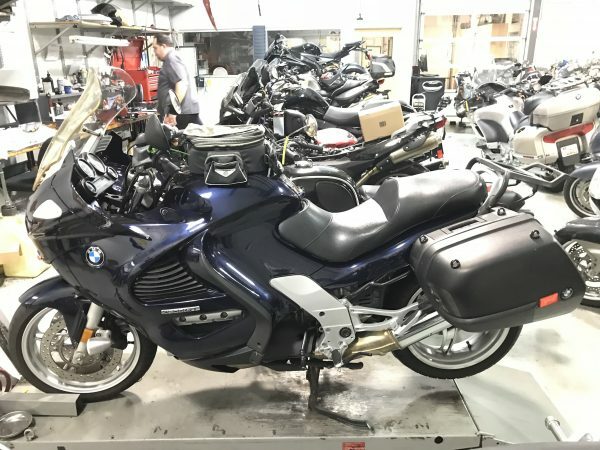 The previous, only owner, only traded this model in to move into a larger touring motorcycle. 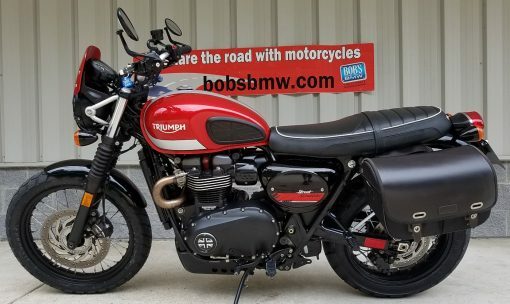 A completely different experience from the nimble light weight and off-road capable scrambler. Triumph redesigned the Scrambler in 2017 and is carries a lot more of the “vintage styling” then the previous versions while upgrading the overall power, technology and safety features. The 900cc Street Scrambler has 54 hp at 6,000 rpm and has been upgraded with the modern “ride by wire” throttle technology. 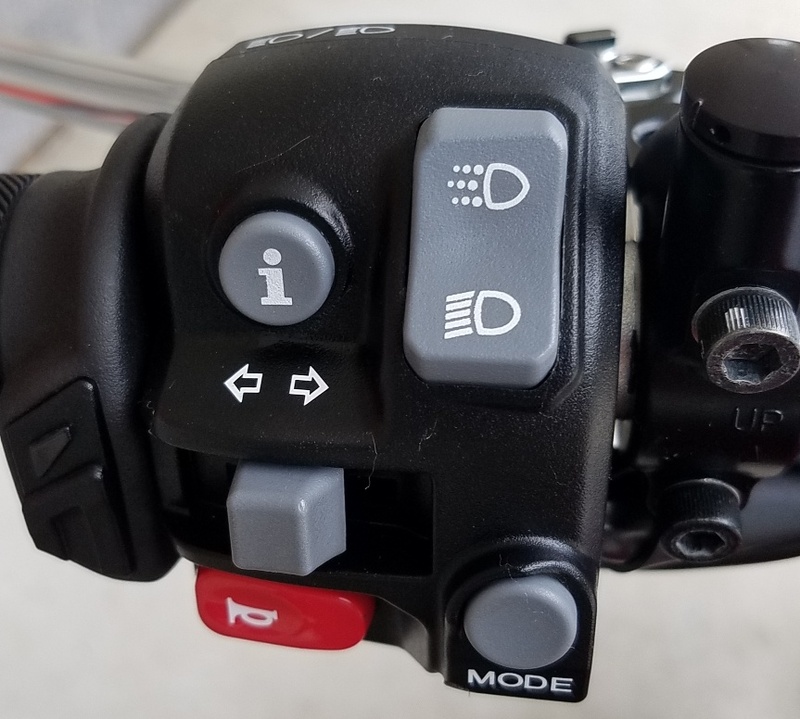 This allows the bike to have modern ride modes that affect traction control, ABS, etc. depending on how and where the rider takes this machine. It also has a torque assist clutch which makes the overall clutch pull lighter. In 2017 the bike was also made lower with a 31.2 seat height and a LED headlight is included in the package as well. Spoked 19in front wheel and 17in rear wheel and of course the Scrambler comes with the iconic upswept 2 into 1 exhaust. 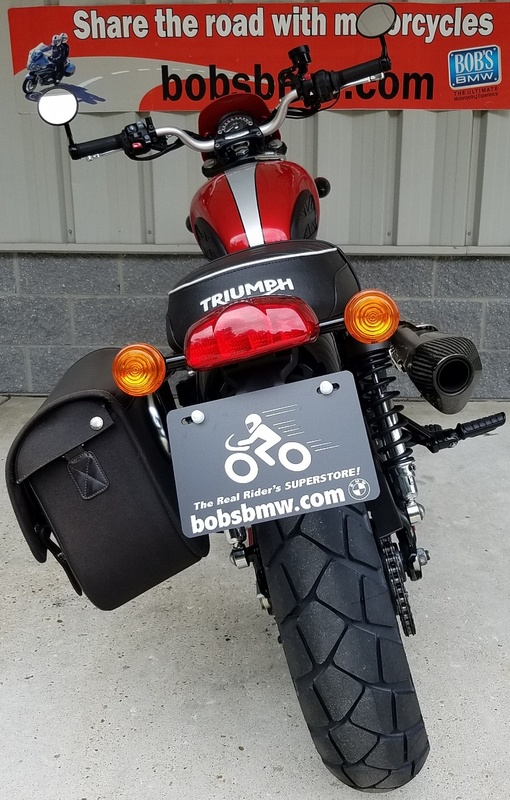 There are a lot of fun details that Triumph packed into this super fun yep super simple motorcycle. 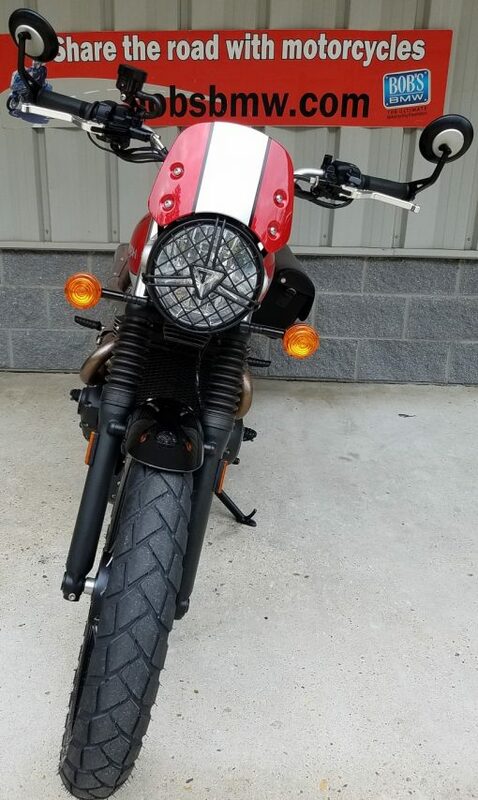 The previous owner added a paint matched fly screen and head light guard. These are must-haves and really fit the overall look of the bike well. 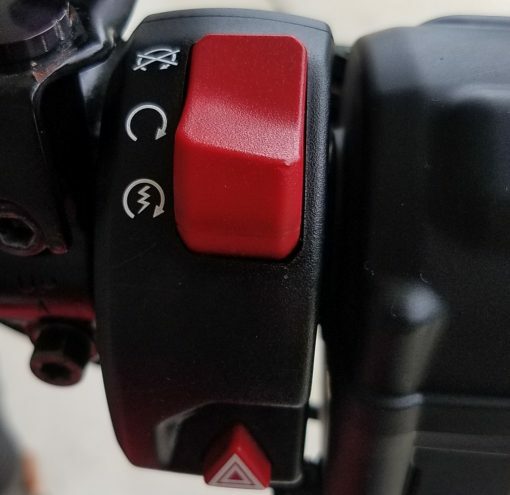 The grips were also upgraded to controllable heated units that work great. It also comes with lower profile mirrors and a really nice leather single side case / bag. 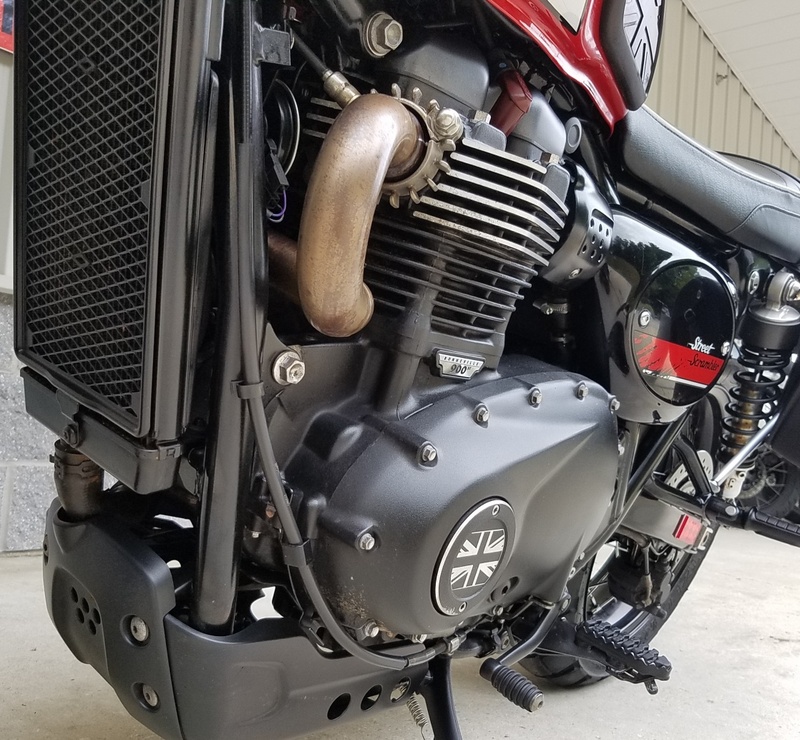 The Exhaust has been upgraded as well and along with some little Triumph covers on the primary and timing side of the bike. 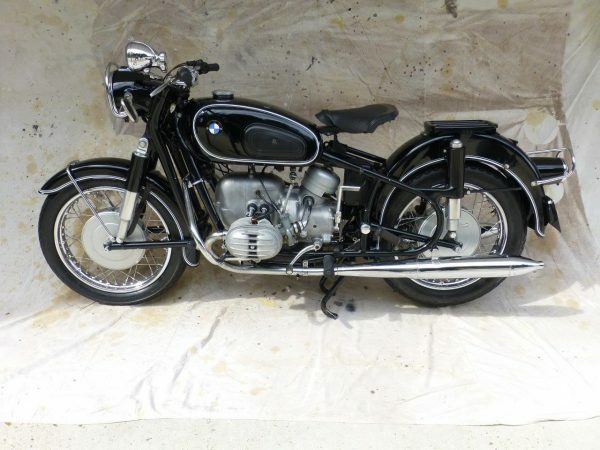 Cosmetically, on our very critical scale, we rate the bike a 9 out of 10. There is a rub scratch on the muffler and a couple very small and hard to find scratches on the tank. 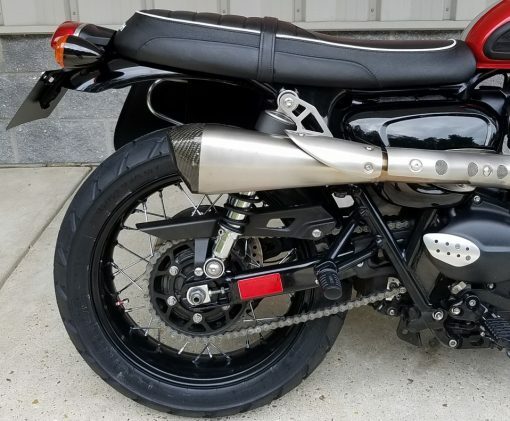 The bike was ridden 8,000 miles so it’s not brand new but was really taken care of and finding anything not a 10 on this Triumph is being very, very critical. 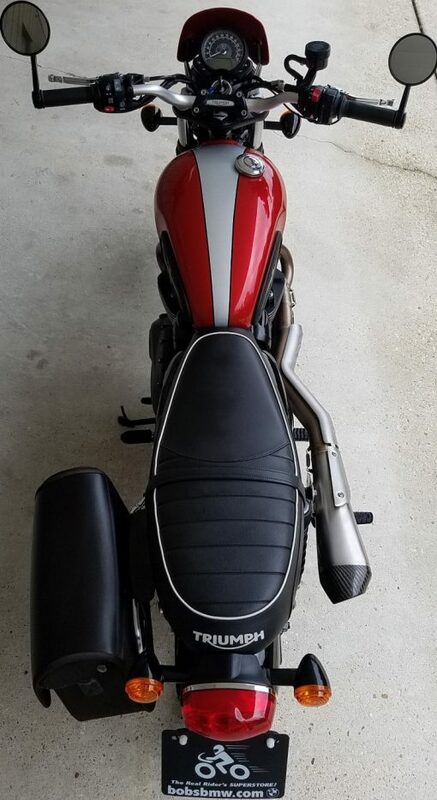 The red and silver paint is really sharp and the seat looks like it was just installed. Our detailer spent half a day putting in the heavy duty elbow grease getting into the corners and bringing the bike up to Bob’s BMW standards. 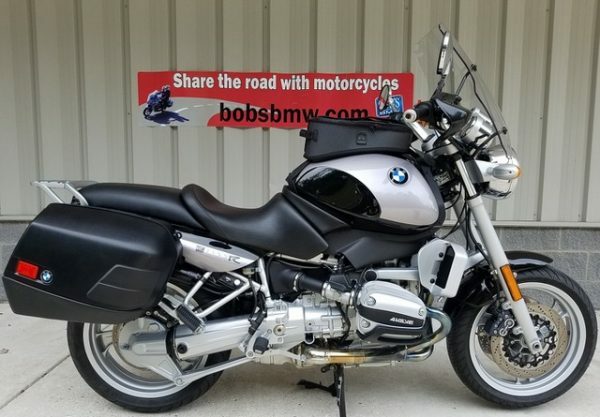 At Bob’s BMW we want to make sure that the next owner of our pre-owned motorcycles is able to go out and enjoy themselves. You don’t have to worry about: does it need service? – Are the tires old? – Will it pass inspection? – because we do the heavy lifting up front so you just can go have fun and put some uninterrupted miles on your new motorcycle. This Triumph we treated no differently than we would have one of our BMW Advantage Certified bikes. We renewed the front and rear tires with brand new Metzler Tourance tires and installed nitrogen in both tires for more consistent air pressure. We also renewed the rear pads. 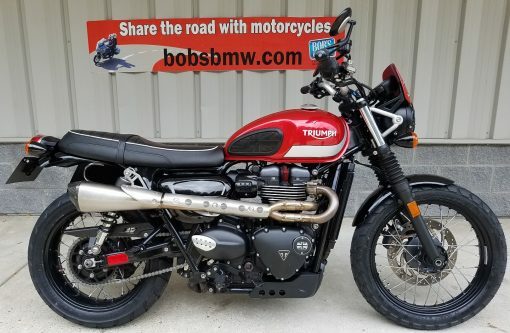 The previous owner had the chain and sprockets replaced at a local Triumph dealer three months ago. They also renewed brake and engine oil as well which we inspected and found to be clean and new. 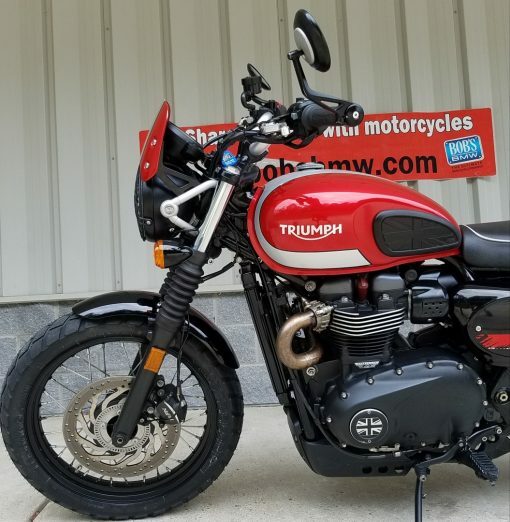 We then put it through our very detailed 38-point inspection, a Maryland State Inspection along with an extended test ride In which everything passed and was confirmed as operating at 100%. This trumpet is ready to ride!! 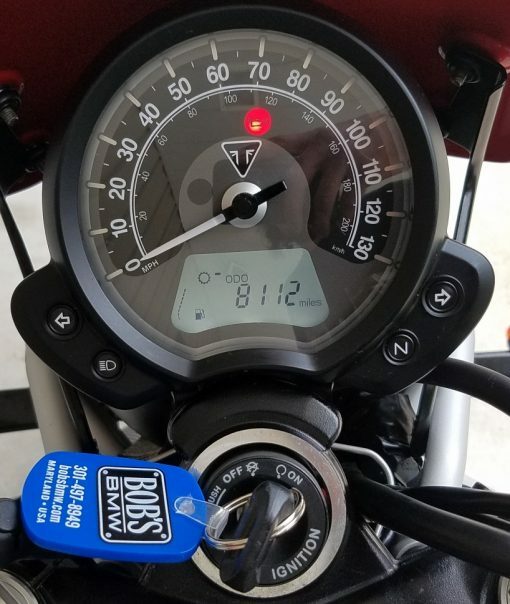 The Triumph Street Scrambler comes with 2 keys and the original owners book. Contact one of our sales advisors today!